Nephrology journal is a leading academic journal devoted to reporting the latest research focusing on the prevention, diagnosis, and management of kidney diseases and associated disorders. The journal welcomes submissions related to Kidney diseases, including glomerulonephritis, tubular diseases, electrolyte disturbances, and hypertension. Nephrology and Renal Diseases accepts original research articles, review articles, editorial, case studies, meta-analysis studies, viewpoint papers and short communications on all the aspects of Renal Diseases, End-Stage Renal Diseases, Acute Kidney Injury, Glomerulonephritis, lupus nephritis, Dialysis, Renal Transplantation, Kidney Surgical Complications, Renal Cancer, Kidney Neoplasms, Renal Necrosis, Nephrosclerosis, Renal Impairment, Kidney Failure, nephrology, etc. Readers for Nephrology journal include academicians, researchers, medical professionals and students in the field of nephrology. Nephrology Journal discusses mostly about the therapeutic strategies like Dialysis, Hemofiltration, Diabetic Nephropathy, Renal Replacement Therapy, Transplantation etc. It creates a platform for the authors to make their contribution towards the Nephrology journal. The Nephrology journal will also consider publication of letters to the editor as well as manuscripts describing new hypotheses. Articles published in Nephrology journal are subjected to strict peer review process before being accepted for publication. This Journal ensures the barrier-free distribution of its content through online free access and it helps in improving the citations of the submitted articles to the nephrology journal. Copyright is retained by the authors and articles can be freely used and distributed by others. Articles are distributed under the terms of the Creative Commons Attribution License (http://creativecommons.org/licenses/by/4.0/ ), which permits unrestricted use, distribution, and reproduction in any medium, provided the original work, first published by NRD, is properly cited. professor at Clinical Development Division, Toxicology and he is serving as a Director, General Manager in Toray Industries,Tokyo, Japan. His field of interest is Cell Culture; Pharmacodynamics; Drug Metabolism; Immunohistochemical Staining; Electron Microscopy; Histological Analysis; Toxicity Studies; In vitro Toxicology; Toxicologic Pathology; ADME TOX; Toxicogenomics; in slico ADMET and he is member of several advisory boards of scientific journals. He has many publications on Scratching behavior of ICR-derived glomerulonephritis (ICGN) mice, The Pharmacokinetics of Beraprost Sodium Following Single Oral Administration to Subjects With Impaired Kidney Function, etc. Nephrology and Renal Diseases is an Open Access journal and we do not charge the end user when accessing a manuscript or any article. This allows the scientific community to view, download, distribution of an article in any medium, provided that the original work is properly cited, under the term of "Creative Commons Attribution License". In line with other open access journals we provide a flat fee submission structure on the acceptance of a peer-reviewed article which covers in part the entirety of the publication pathway (the article processing charge). The process includes our maintenance, submission and peer review systems and international editing, publication and submission to global indexing and tracking organisations and archiving to allow instant access to the whole article and associated supplementary documents. We also have to ensure enough investment to secure a sustainable model which ethically, legally and financially stable. 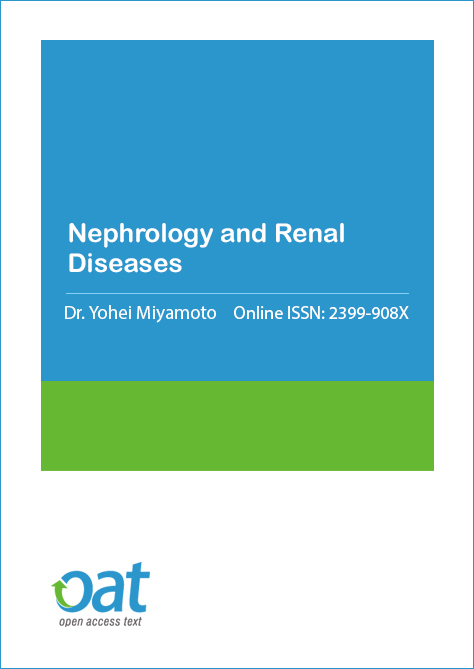 The publication charges for Nephrology and Renal Diseases are GBP 1660.